Der beste QGIS Release aller Zeiten! 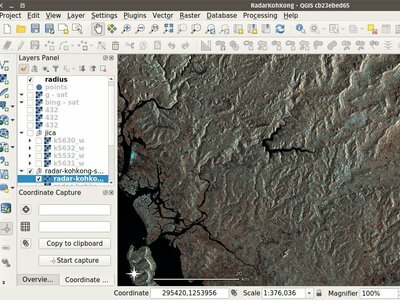 QGIS 3.0 ist eine umfassende Überarbeitung und Bereinigung unseres beliebten Open Source GIS. QGIS 3.0 bringt eine riesige Liste neuer Änderungen mit sich - die Highlights, die wir hier zu behandeln versuchen. Wie immer können wir Sie daran erinnern, dass QGIS ein Open-Source-Projekt ist und wenn Sie in der Lage sind, unsere Arbeit durch Spenden, Sponsoring oder Beiträge zur Code-Dokumentation, Website usw. zu unterstützen. Wir möchten den Entwicklern, Dokumentatoren, Testern und all den anderen Menschen da draußen danken, die freiwillig Zeit und Mühe investieren (oder andere Menschen dafür bezahlen, dies zu tun). Wir von der QGIS-Gemeinschaft hoffen, dass Ihnen diese neue Version gefällt! Wenn Sie gern Zeit oder Geld investieren oder sich anderweitig beteiligen möchten, damit QGIS noch besser wird, besuchen Sie bitte qgis.org und helfen Sie mit! 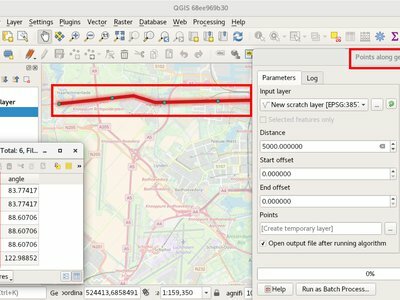 QGIS wird von Spendern und Sponsoren unterstützt. Eine aktuelle Liste der Spender, die dem Projekt kleine oder große Beiträge geleistet haben, kann unter unserer Spendenliste eingesehen werden. Wenn Sie ein offizieller Projektsponsor werden möchten, besuchen Sie bitte unsere Sponsoring-Webseite für alle Details. Das Sponsorn von QGIS hilft uns dabei unsere halbjährlichen Entwicklertreffen zu finanzieren, die Projekt-Infrastruktur aufrechtzuerhalten und den Aufwand der Fehlerbeseitigungen zu finanzieren. Eine komplette Liste unserer gegenwärtigen Sponsoren steht unten zur Verfügung - ein großer Dank an alle unserer Sponsoren! Dies ist nun vollständig über Processing zugänglich, was der logische Platz für diese Funktion ist. Diese Funktion ist in OGR verfügbar, weshalb kein Bedarf mehr für ein gesondertes QGIS Plugin besteht um diese Aufgabe zu erledigen. TauDEM ist eine ziemlich spezialisierte Sammlung von Werkzeugen und es erfordert die Installation einiger zusätzlicher Werkzeuge. Daher entschieden wir, es in einen eigenen Anbieter umzuwandeln, um die Größe der Kern-Codebasis zu reduzieren und den Wartungsaufwand zu verringern. Mehr Hilfeschaltflächen für Algorithmen und Dialoge wurden hinzugefügt. Diese führen nun zur online QGIS-Dokumentation. Über die Konfiguration ist es möglich, kontextsensitive Hilfe anzuzeigen, die online, im Organisationsnetzwerk oder auf dem lokalen Rechner gespeichert ist. Außerdem ist es möglich, verschiedene Hilfequellen zu kombinieren. Die neue Logik ist, Plugin-Anbieter zu entwickeln, die dem Lebenszyklus der externen Software folgen können. Manche Mäuse / Zeigegeräte (vor allem auf dem Mac) haben höhere Auflösungen. Sie schicken Mausrad-Ereignisse mit höherer Frequenz aber mit kleineren Differenzwerten. Das Zoomen mit solchen Geräten war bei schnellen Zoomaktionen unbrauchbar. Dies wurde in Version 3.0 behoben. Die Suchleiste ist eine schnelle, immer verfügbare, universelle und erweiterbare Sucheinrichtung in der linken unteren Ecke des QGIS-Hauptfensters. Derzeit kann sie nach Algorithmen, Aktionen und Layernamen suchen, aber auch ein Feature im gerade aktiven Layer durch Eingabe eines Attributwertes auswählen. Sie ist ‚leicht‘ erweiterbar, so dass jeder einen QgsLocatorFilter für ihren/seinen nationalen Geocoding-Dienst oder andere Online- oder Datenbanksucheinrichtungen anlegen kann. Dies ergänzt die Möglichkeit für Benutzer, einzustellen, ob in den Drop-down-Menüs der Schaltfläche „Farbe“ ein benutzergeneriertes Farbschema angezeigt werden soll. Sie ist über den Dialog für die Farbauswahl auf dem Listen-Tab zugänglich. Fügen Sie einfach ein neues Farbschema hinzu und wählen sie dann im Schema-Menü die Option „Auf Schaltflächen anzeigen“ aus. Dies ist nützlich, wenn man viele Sätze gemeinsamer Paletten hat und diese schnell durch das Farbauswahlmenü erreichbar sein sollen. Für Nordpfeile im Kartenfenster ist es jetzt möglich, die Farbe einzustellen. Die Funktion, das Kartenfenster als Bilddatei zu speichern, wurde erweitert und bietet jetzt die Möglichkeit, den Maßstab, die Auflösung und den Ausschnitt anzupassen. Der Ausschnitt kann auf ein bestimmtes Seitenverhältnis eingeschränkt werden. Eine Option zum Speichern als PDF-Datei wurde ebenfalls hinzugefügt, um das Kartenfenster schnell in ein auflösungsunabhängiges PDF exportieren zu können. All API regarding transparency/opacity/alpha was standardised to setOpacity() and opacity(). The methods take a double value between 0 (transparent) and 1 (opaque), keeping consistency with the Qt API. A new widget QgsOpacityWidget was created, and is now used everywhere through the UI where opacity is set. This ensures consistent behavior and look for opacity controls everywhere. Rotation has been standardised in the API and UI, so now rotation is always applied clockwise. All rotation widgets have been updated so they accept values from -360 to 360. Labeling now uses the same definition for min/max scale as the rest of the UI, and existing projects are transparently upgraded on opening in 3.0. Thanks to the QGIS PSC and project donors for sponsoring this work and allowing it to proceed! If you try to open many sublayers, you can now open them all within a same group in the legend. 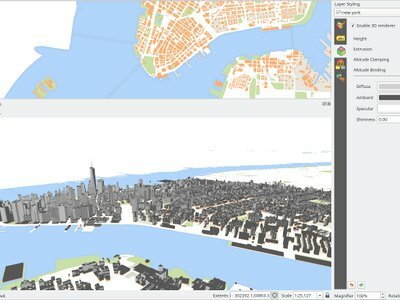 We have a brand new native 3D map view in QGIS! The 3D map view displays 2D map (rendered from project layers) on top terrain. By default the terrain is a flat plane, but it is possible to use raster layers with digital elevation model as the source of height data. 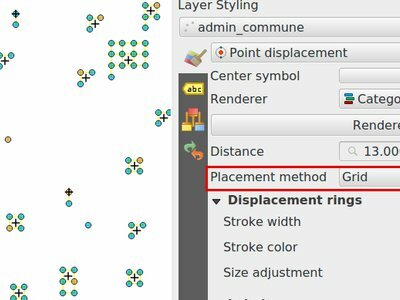 To configure 3D renderers, use layer styling dock widget or the vector layer properties dialog - there is a new tab for configuration of 3D renderers. Returns current locale used by QGIS. By default this is current system locale. 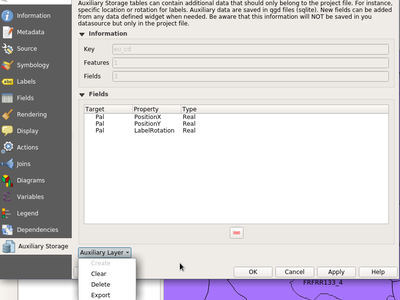 If user enabled locale override in QGIS settings overriden locale will be returned. atlas_layerid and atlas_layername: Returns layer ID and layer name of the current layer in the atlas. array_agg(expression, group_by, filter): Returns an array of aggregated values from a field or expression. New group that contains expression functions for the creation and manipulation of arrays (also known as list data structures). The order of values within the array matters, in contrary to the ‚map‘ data structure, where the order of key-value pairs is irrelevant and values are identified by their keys. array(value1, value2, …) : Returns an array containing all the values passed as parameter. array_append(array, value): Returns an array with the given value added at the end. array_cat(array1, array2, …): Returns an array containing all the given arrays concatenated. array_contains(array, value): Returns true if an array contains the given value. array_distinct(array): Returns an array containing distinct values of the given array. array_find(array, value): Returns the index (0 for the first one) of a value within an array. Returns -1 if the value is not found. array_first(array): Returns the first value of an array. array_get(array, index): Returns the Nth value (0 for the first one) of an array. array_insert(array, pos, value): Returns an array with the given value added at the given position. array_intersect(array1, array2): Returns true if any element of array1 exists in array2. array_last(array): Returns the last value of an array. array_length(array): Returns the number of elements of an array. array_prepend(array, value): Returns an array with the given value added at the beginning. array_remove_all(array, value): Returns an array with all the entries of the given value removed. array_remove_at(array, pos): Returns an array with the given index removed. array_reverse(array): Returns the given array with array values in reversed order. array_slice(array, start_pos, end_pos): Returns a portion of the array. The slice is defined by the start_pos and end_pos arguments. array_to_string(array, delimiter, empty_value): Concatenates array elements into a string separated by a delimiter using and optional string for empty values. regexp_matches(string, regex, empty_value): Returns an array of all strings captured by capturing groups, in the order the groups themselves appear in the supplied regular expression against a string. string_to_array(string, delimiter, empty_value): Splits string into an array using supplied delimiter and optional string for empty values. 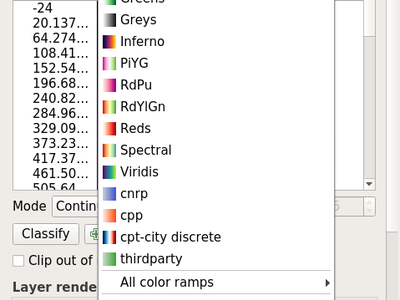 create_ramp(map, discrete): Returns a gradient ramp from a map of color strings and steps. epoch(date): Return the interval in milliseconds between the unix epoch and a given date value. env(name): Gets an environment variable and returns its content as a string. If the variable is not found, NULL will be returned. with_variable(name, value, node): This function sets a variable for any expression code that will be provided as 3rd argument. This is only useful for complicated expressions, where the same calculated value needs to be used in different places. hausdorff_distance(geometry a, geometry b, densify_fraction): Returns the Hausdorff distance between two geometries. This is basically a measure of how similar or dissimilar 2 geometries are, with a lower distance indicating more similar geometries. inclination(inclination(point_a, point_b): Returns the inclination measured from the zenith (0) to the nadir (180) on point_a to point_b. make_circle(center, radius, segment): Creates a circular, segmentized, polygon. make_ellipse(center, semi_major_axis, semi_minor_axis, azimuth, segment): Creates an elliptical, segmentized, polygon. make_regular_polygon(center, radius, number_sides, circle): Creates a regular polygon. minimal_circle(geometry, segment): Returns the minimal enclosing circle of a geometry. It represents the minimum circle that encloses all geometries within the set. offset_curve(geometry, distance, segments, join, miter_limit): Returns a geometry formed by offsetting a linestring geometry to the side. Distances are in the Spatial Reference System of this geometry. oriented_bbox(geom): Returns a geometry which represents the minimal oriented bounding box of an input geometry. pole_of_inaccessibility(geometry, tolerance): Calculates the approximate pole of inaccessibility for a surface, which is the most distant internal point from the boundary of the surface. This function uses the ‚polylabel‘ algorithm (Vladimir Agafonkin, 2016), which is an iterative approach guaranteed to find the true pole of inaccessibility within a specified tolerance. simplify(geometry, tolerance): Simplifies a geometry by removing nodes using a distance based threshold (ie, the Douglas Peucker algorithm). The algorithm preserves large deviations in geometries and reduces the number of vertices in nearly straight segments. simplify_vw(geometry, tolerance): Simplifies a geometry by removing nodes using an area based threshold (the Visvalingam-Whyatt algorithm). The algorithm removes vertices which create small areas in geometries, e.g., narrow spikes or nearly straight segments. smooth(geometry, iterations, offset, min_length, max_angle): Smooths a geometry by adding extra nodes which round off corners in the geometry. single_sided_buffer(geometry, distance, segments, join, miter_limit): Returns a geometry formed by buffering out just one side of a linestring geometry. Distances are in the Spatial Reference System of this geometry. crs_description returns the CRS description of the layer. This group contains expression functions for the creation and manipulation of ‚map‘ data structures (also known as dictionary objects, key-value pairs, or associative arrays). One can assign values to given keys. The order of the key-value pairs in the map object is not relevant. map(key1, value1, key2, value2, , …): Returns a map containing all the keys and values passed as pair of parameters. map_akeys(map): Returns all the keys of a map as an array. map_avals(map): Returns all the values of a map as an array. map_concat(map1, map2, …): Returns a map containing all the entries of the given maps. If two maps contain the same key, the value of the second map is taken. map_delete(map, key): Returns a map with the given key and its corresponding value deleted. map_exist(map, key): Returns true if the given key exists in the map. map_get(map, key): Returns the value of a map, given it’s key. map_insert(map, key, value): Returns a map with an added key/value. New group that contains a list of map layers available in the current project. Returns internal map layer ids. This is used in many other expression functions that reference map layers. inclination(point_a, point_b): Returns the inclination measured from the zenith (0) to the nadir (180) on point_a to point_b. ~: Performs a regular expression match on a string value. get_feature_by_id(layer, feature_id): Returns the feature with an id on a layer. is_selected(feature, layer): Returns if a feature is selected. If called with no parameters checks the current feature. num_selected(layer): Returns the number of selected features on a given layer. By default works on the layer on which the expression is evaluated. represent_value(value, fieldName): Returns the configured representafftion value for a field value. It depends on the configured widget type. Often, this is useful for ‚Value Map‘ widgets. uuid(): Generates a Universally Unique Identifier (UUID) for each row using the Qt QUuid::createUuid method. Each UUID is 38 characters long. New group listing all available table relations in a project. Useful for relation_aggregate functions. This makes it possible to access attributes and geometry from the parent feature when in the filter of the „aggregate“ expression function. With this in place aggregates can be calculated per feature. This adds a new item_variables expression function when expressions are used inside a composition context. Processing algorithms have been reviewed and documented. 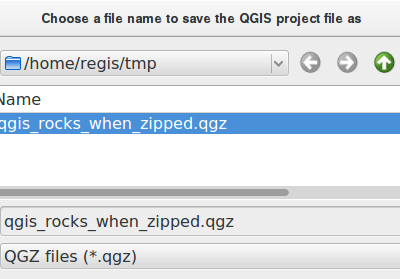 Clicking the Help button will open the QGIS website and show the algorithm description with enhanced documentation and pictures. 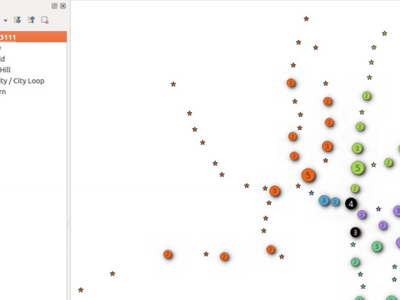 Adds a data defined override to control a symbol layer’s visibility. 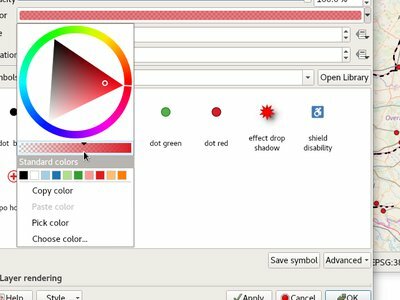 Allows users to disable drawing certain symbol layers for matching features. It is now possible to change the color and transparency for multiple values at the same time for the singleband pseudocolor and the paletted renderers. Simply select values within the values‘ list and right click to have a pop-up menu appear. 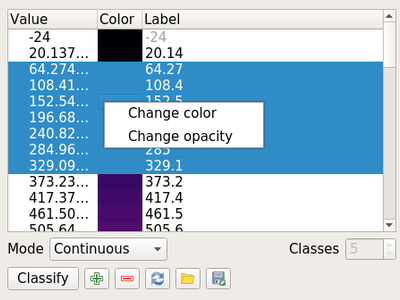 In QGIS 3.0, it is now possible to change the transparency value for unique values for the paletted renderer. see https://lists.osgeo.org/pipermail/qgis-developer/2016-September/044393.html follow up to raster pseudocolor updated extent auto classification. Allows setting left/top/right/bottom margins for the contents within an annotation. 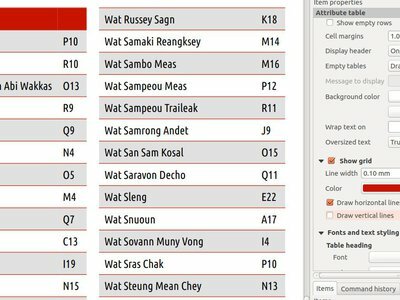 This changes the rendering of annotation frames to use QGIS‘ symbology engine, which means that all the existing fill styles can now be used to style annotation frames. 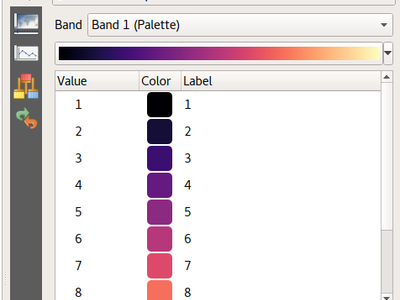 Also paint effects & data defined symbol parameters. New symbol renderer that groups nearby points into a single rendered marker symbol. Optionally, a label displays the number of features that have been aggregated into the single symbol. lots of code cleanup + documentation too. For developers: QgsPointDisplacementRenderer has been split into a new pure virtual QgsPointDistanceRenderer base class which handles the detection of clusters and grouping of points. The new cluster renderer reuses this base class to avoid code duplication. See the crowd funding programme for more details. This feature was funded by Andreas Neumann, Qtibia Engineering (Tudor Barascu), Karl-Magnus Jönsson, Geonesia (Nicolas Ponzo) & numerous additional anonymous backers whose generous contributions are also highly valued! Adds a new checkbox at the bottom of each symbol layer’s properties which allows you to control whether the layer is enabled or not. 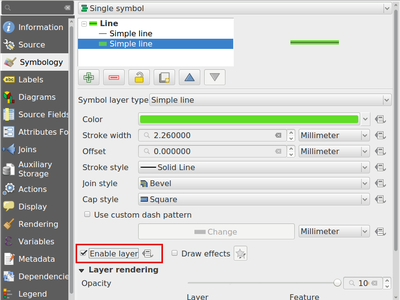 Disabled layers are not drawn, but are saved and can be enabled at a later stage. This makes it easier to tweak symbol appearance without having to totally delete a symbol layer. 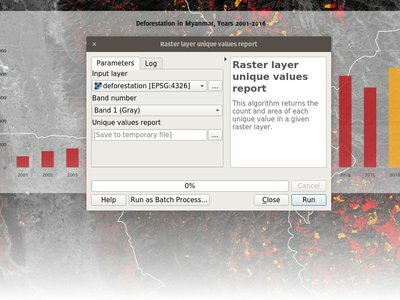 In QGIS 3.0, the existing raster Paletted Renderer for rasters was adapted to allow for easy styling of discrete raster layers, such as landcover or boolean rasters. 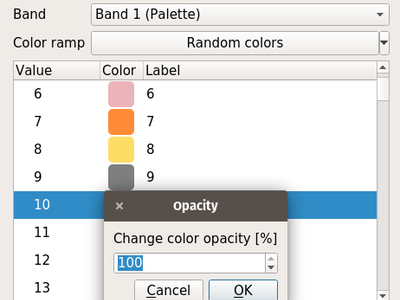 Now, users can select the renamed „Paletted/Unique Values“ renderer and click the „Add Unique Values“ button to load all unique raster values from the layer. These are automatically assigned a color using the selected color ramp. 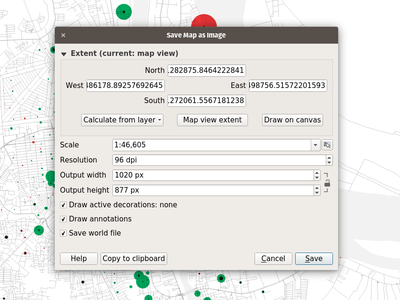 The unique value calculation is performed in a background thread to keep the UI responsive for large (or remote) raster layers. Additionally, users can manually add individual new classes as desired, and edit the associated pixel value for any existing class. Deleting multiple classes at once is also supported, as well as changing the color, transparency and labels for multiple classes at once. 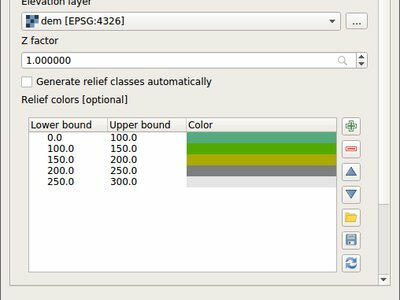 Color palettes can be loaded from a text file, with ESRI clr/GDAL/GRASS color table formats supported. Color palettes can be saved to a clr text file for sharing. Thanks to the awesome auxiliary data storage and the editable joined table, the manual label customization is now always enabled. 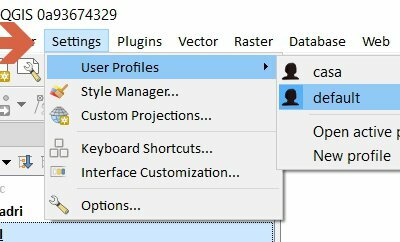 You do not need anymore to add dedicated fields in your datasource to change labels position, rotation, or any of the possible settings for labels to activate the toolbar. No more copy of readonly datasources and so much faster labeling ! Be warned, labels are only saved along with your project file in a .qgd sqlite database, or inside the .qgz zipped project file if you chose that format. Don’t forget to share that .qgd file if you want to share your project file. And for power users, the old way of having data defined fields in your datasource is still there. Just define them in the layer’s properties as before! 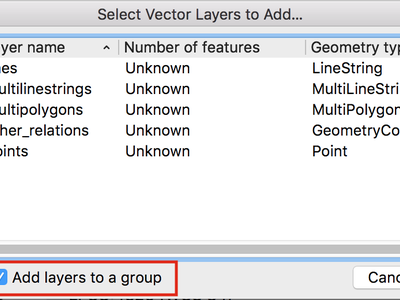 QGIS 3.0 now supports live layers. These layers get re-rendered automatically at a time interval that you determine, in a clean and flicker free way. Live layers are great for tracking continuously changing data like a fleet of cars, a flock of birds that you have telemetry data for and so on. That feature makes it possible to select a range of vertices from one feature. It can be activated by pressing Shift+R - afterwards one needs to click start and final point within a feature - this will selected all vertices between the two. The range selection can be cancelled anytime by right-click or by pressing Esc key. For closed curves (polygons), it is possible to switch to the „longer“ way around the ring by holding Ctrl while clicking the final point. Just move a feature using the new „click - click ergonomy“ and use the advanced digitizing panel and shortcut to constraint angles, distances, exact XY. You can now use the trace digitising tool with an offset as shown in the accompanying image. Instead of requiring users to first select a feature and then edit its vertices in the second step, the tool now capable of working with multiple features at the same time. It is therefore easy to select vertices from several features and move or delete them at once. If there is a need to constrain selection of vertices to just specific feature(s), it is possible to select the features with selection tool first - the vertex tool will only work with vertices from selected feature(s) in such cases. Instead of working just with the currently selected layer, the tool is now able to work with all layers that are in editing mode at the same time. Moving of features that logically belong together but are located in different layers has got much easier. Still, the current layer is respected if there are multiple choices when picking vertices. Features and their vertices get highlighted as the user moves the mouse pointer over them, giving better visual feedback. 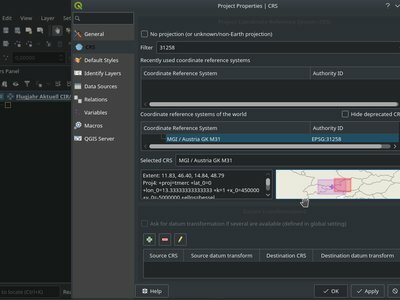 See https://github.com/qgis/QGIS-Enhancement-Proposals/issues/69 for more information. The improved vertex tool now also displays extra markers on the mid-point of line segments of features. Clicking such marker results in addition of a new vertex. The existing way of adding vertices by double-clicking segments has been kept. When editing linestring geometries with the vertex tool, moving the mouse towards the first or the last vertex will display an extra marker just next to the endpoint. Clicking the marker will add a vertex at the end of the geometry. The advanced digitizing panel now works also with the vertex tool - it is possible to enter coordinates of new or existing vertices in the panel just like in other digitizing map tools. Auxiliary data is stored in a sqlite database and managed thanks to the OGR data provider (instead of the spatialite provider) to keep as small as possible the database file. This database file (with extension .qgd) is either saved just next to the project file or directly embedded within the new .qgz format. 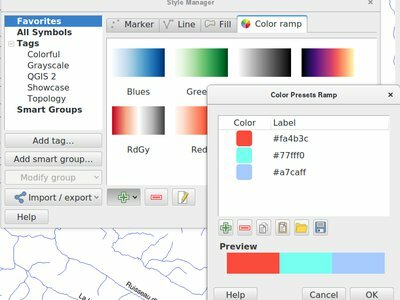 The metadata system in QGIS has been overhauled. 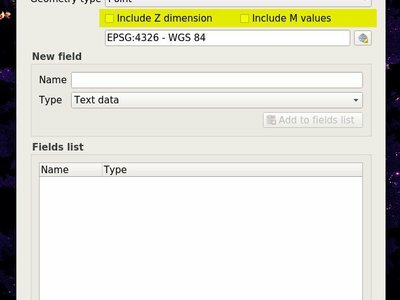 In QGIS 3.0 we introduce our own internal, formalised metadata schema which is separate from the QGIS project file format. We introduce new API capabilities for reading and writing metadata for layers. We have separated the display of metatadata from the editing and have added a new metadata editing tool. Metadata are currently saved in the project file. It can also be saved as an XML file alongside file based layers or in a local sqlite database for remote layers (e.g. PostGIS). Please note this is the first phase in the development of a complete and standards compliant metadata infrastructure for QGIS. We are seeking further funding to implement a more complete implementation for the metadata system - see this document for details of future planned work packages that need funding. The specification for the QGIS metadata schema is here. The primary funder for this work was The WorldBank/GFDRR with supporting funding provided by NINA. 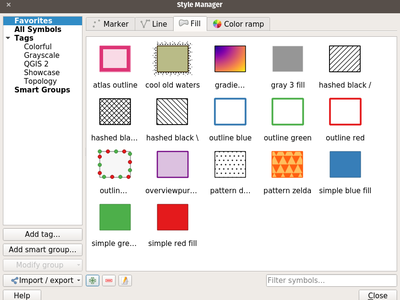 A single unified dialog to handle data source management and layers loading. 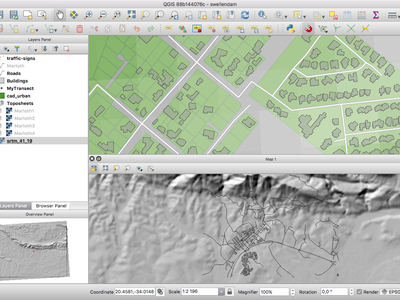 We have removed the OSM downloader tool that was provided in 2.x releases of QGIS. 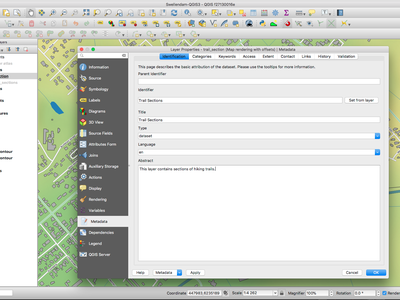 We encourage you to rather use the QuickOSM plugin which has been ported to QGIS 3.0. In the drag and drop designer, a double click on an item will allow controlling if the label should be shown for each item individually. This adds a new configuration option to conditionally show or hide tabs and groupboxes in drag and drop designer forms. 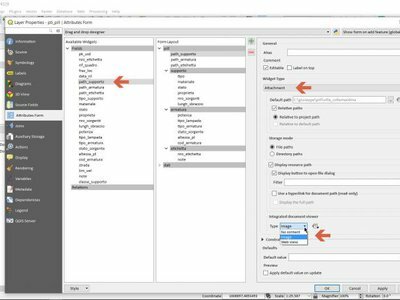 Configuration is done via a double click in the designer tree in the fields configuration interface. An expression can be entered to control the visibility. The expression will be re-evaluated everytime values in the form change and the tab or groupbox shown/hidden accordingly. Now the widgets can give a score on how well they could handle the type of a field. Leading to better default widgets. Additionally, plugins can be added to choose a widget type in function of external information. One of them uses a table in PostgreSQL, allowing to specify the widget type and configuration to use for each field. Automatically pick RelationReference widgets for foreign keys. Non-enforced constraints just show a warning to the user, but do not prevent committing the feature. Enforced constraints block users from committing non compliant features. So we have soft warnings now! Any constraints detected by the provider are always enforced. Within the attribute table, there is a new button to trigger actions which are not based on individual features but instead on the whole layer. Normally they will perform actions based on all features or the selection. The autocompleter is nicely updated in the background so that the gui remains nice and responsive, even if there’s millions of records in the associated table. It’s now used as a search widget for text fields, so can be seen in the browser window if you set the filter to a text field, or if you launch the form based select/filter by selecting a layer and pressing F3. Checking/unchecking a group doesn’t change the check state of its children. A node is visible if and only if it is checked and all its parents too. Ctrl-clic on a unchecked group will check the group and all its descendants. Clic on a unchecked layer will check the lager and all its parents. Ctrl-clic on a checked group will uncheck the group and all its descendants. Ctrl-clic on a checked layer will uncheck the layer and all its parents. Those actions are available in contextual menu items in the tree view. Invisible layers because they or their parent(s) is unchecked are greyed out. It is now possible to independently control horizontal and vertical line rendering of composer table items. This added flexibility expends the styling possibilities of this item directly within QGIS. This allows the CRS for map items to differ from the canvas/project CRS. It also allows different map items to have different CRS, eg an overview map can be set to a different CRS to the main map. 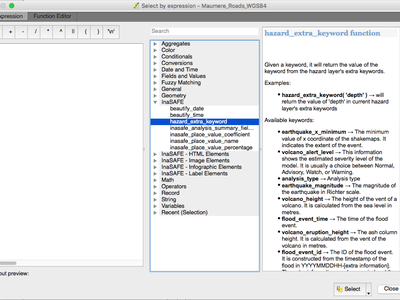 This is a major rework to how compositions are managed in the code of QGIS. A new QgsLayoutManager class which is used for storage and serializing/deserializing of compositions. 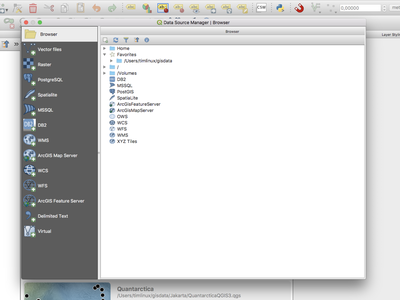 A QgsLayoutManager is attached to QgsProject. This allows core code to access the compositions attached to a project. All handling of compositions has been moved from app to core, making it easy for server (and other non-app based projects. QField/roam?) to access project compositions without resorting to fragile xml parsing. Composer windows are created on demand and destroyed on close. 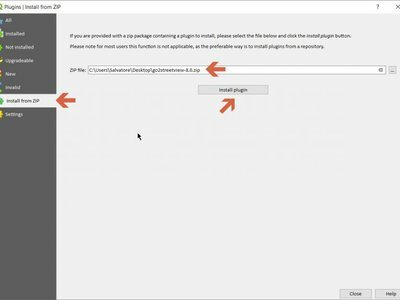 This avoids the heavy requirement of creating all composer windows and widgets for every single composer item when loading projects. It was the main reason loading projects with compositions were so slow previously. Now, composer windows are created only when the window is opened and destroyed when the window is closed. Composer item configuration widgets are also only created on demand (when an item is selected) instead of precreating all widgets. A side benefit of destroying composer windows on close is that we now no longer suffer from a Qt bug which blocked use of floating docks in composer windows. Now you can float the item/composition/etc panels! Much nicer for full screen working with compositions on multi-monitor setups. Reworked API for working with composers through iface. Since composer windows don’t exist unless they are currently open, all the iface methods for interacting with composers have been redone to make it clear that they only apply to open windows. Additionally, a simple composer interface which provides a stable API for plugins and scripts to work with composer windows has been added. Very basic for now, but in future we can extend with more hooks to allow plugins to interact with composer windows. 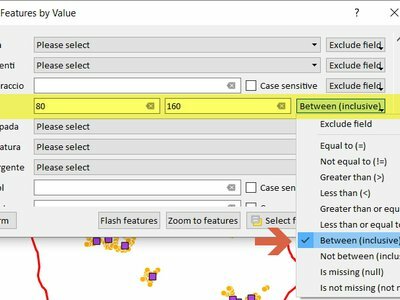 This feature was funded by The Swiss QGIS User Group and many more! This change allows users to choose which method to use when running the simplify geometries algorithm, with choices of the existing distance based (Douglas Peucker) algorithm, area based (Visvalingam) algorithm and snap-to-grid. Visvaligam in particular usually results in more cartographically pleasing simplification over the standard distance based methods. Many more algorithms now respect Z/M values and do not discard this information, and additionally many algorithms now correctly maintain curved geometries without forced segmentization of these geometries. Now these algorithms can be used in scripts, models and for batch processing. This algorithm allows you to extract specific nodes from geometries. Eg you can extract the first or last node in the geometry. The algorithm accepts a comma separated list of node indices to extract, eg 0 = first node, 1 = second node, etc. Negative indices can be used to extract nodes from the end of the geometry. Eg -1 = last node, -2 = second last node. 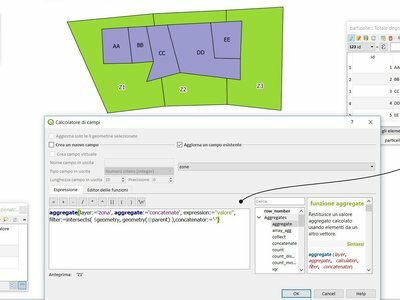 This algorithm updates existing geometries (or creates new geometries) for input features by use of a QGIS expression. 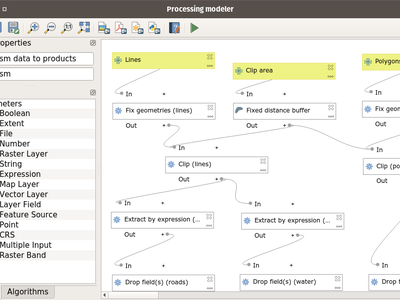 This allows complex geometry modifications which can utilise all the flexibility of the QGIS expression engine to manipulate and create geometries for output features. Snap to layer algorithm accepts a mode parameter. With a new option to prefer to snap to closest point on geometry. The old behaviour was to prefer to snap to nodes, even if a node was further from the input geometry than a segment. The new option allows you to snap geometries to the closest point, regardless of whether it’s a node or segment. This adds a new input type for expression inputs. Expression inputs can be linked to a parent layer so that the builder shows the correct fields and layer variables. It’s designed to be used when an algorithm specifically requires an expression, eg Select by Expression and Extract by Expression. Implements a processing algorithm to calculate the pole of inaccessibility for a surface, which is the most distant internal point from the boundary of the surface. This function uses the ‚polylabel‘ algorithm (Vladimir Agafonkin, 2016), which is an iterative approach guaranteed to find the true pole of inaccessibility within a specified tolerance. More precise tolerances require more iterations and will take longer to calculate. Replaces the existing ‚Basic Stats for Numeric Fields‘ and ‚Basic Stats for String Fields‘ algorithms and adds support for date/time/datetime fields. Having a single unified algorithm allows more flexible models where a field type may not be known in advance. also allow calculating shortest path from a point to all points in a layer, or from all points in a layer to an end point. And creating service areas for all points in a layer. Roadgraph plugin has been removed as a result. In addition to exporting processing models as bitmap images, it is now possible to export processing models as resolution-independent PDFs and SVGs. This allows for high-resolution export of models which can be embedded into papers and books being published. Irretrievably deletes all features from a table… use with caution! A new algorithm was added to processing which returns the count and area of each unique value within a given raster layer. We have removed the TauDEM provider from processing. Supports also polygon geometries, handles null geometries, and records the original line angle along with the distance for each point. 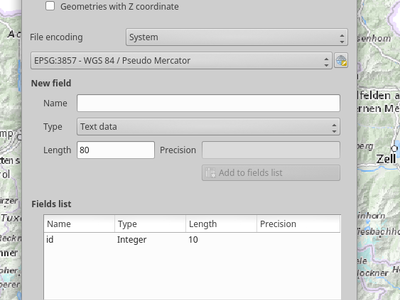 All user settings/plugins, etc are now loaded from the app data location for each platform and no longer .qgis3/2. Settings and plugins in each profile are now isolated from each other. Profile menu allows for switching between profiles or creating new ones. We have removed the standalone QGIS Browser application that shipped with QGIS 2.x. This application had poor user uptake and represented a maintenance overhead that we do not wish to continue with in the 3.0 code base. 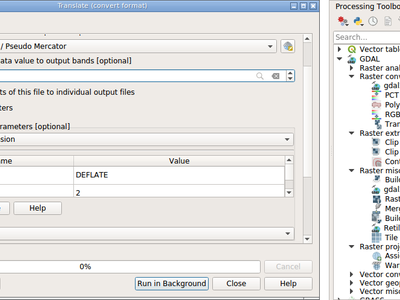 You can now use a single dialog to add a huge variety of data formats to QGIS. 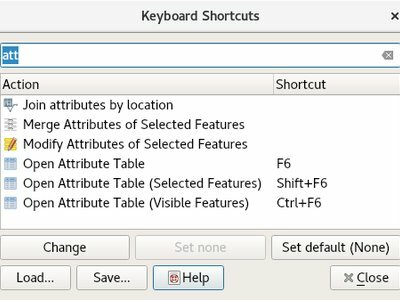 Client side unique and not-null constraints can be set within QGIS. 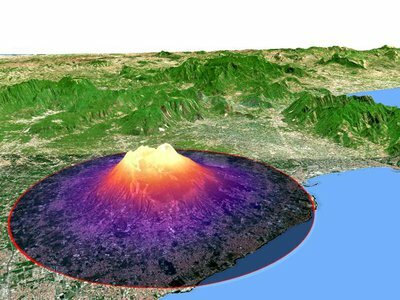 GeoNode is an open source geospatial content management system that makes it easy to publish geospatial data on the web. 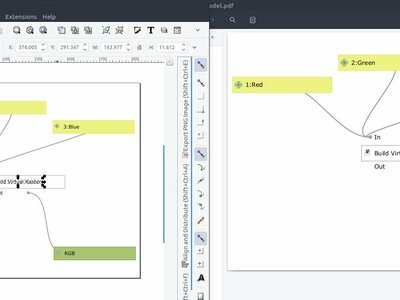 QGIS 3.0 includes new functionality that will allow you to very easily add a GeoNode instance to the browser tree and add any layers from that site to your project as WMS, WFS or XYZ. There is no need to dig around trying to figure out WMS/WFS end points, QGIS will do everything for you. When using WMS and XYZ Tiled layers, the style of the published GeoNode layer will be used. If the GeoNode instance uses the QGIS Server backend rather than a GeoServer backed, you can copy and paste styles from the server and apply them to your local layer so that your WFS layer renders exactly as it does on the server (as shown in the animated GIF here). 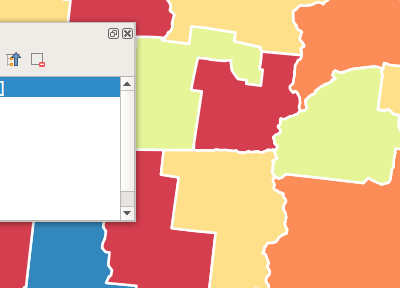 There are also python bindings so that you can add GeoServer layers to QGIS from your plugins. If you are interested in running your own GeoNode with QGIS Server backend please see this site for details on how you can do that using docker and rancher. This allows to declare data dependencies between layers. A data dependency occurs when a data modification in a layer, not by direct user manipulation may modify data of other layers. This is the case for instance when geometry of a layer is updated by a database trigger after modification of another layer’s geometry. Any fields with unique value constraints will be guaranteed to have a value which is unique to the field. This also means that after certain editing operations (e.g. copy-paste, split features etc.) attributes will now be set to their default value, if applicable. A year ago, a tiny troll from switzerland rang a bell about the strong need for love server code base required. Indeed, the API was locked by some old methods of QGIS server. 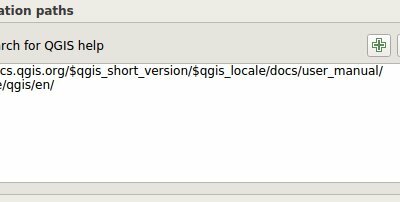 In short, QGIS server was reparsing the qgs project file in his own way, and created dependencies to part of QGIS we needed to drop. Minimize dependencies to GUI library. Since fonts are necessary to render maps, totally removing them was not feasable. Many web clients can’t display circular arcs in geometries. To allow such clients to still display a feature’s geometry (e.g. for highlighting the feature), a new per project QGIS server option was introduced (Menu „Project“ -> „Project Properties“ -> „QGIS Server“) to segmentize the geometry before sending it to the client in a GetFeatureInfo response. GDALTools plugin has been removed. 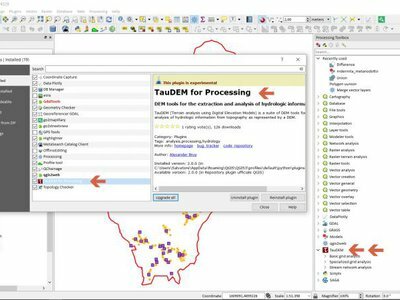 All functions previously available through the GDALTools plugin were moved to the QGIS Processing framework, allowing to use these tools in scripts, models and execute them in batch processes. Additionaly we updated the algorithms with new parameters, introduced in latest GDAL versions and improved overall UI/UX by exposing some advanced parameters like creation options, NODATA value settings etc. It is now more easy to install plugins manually without having to unzip them in the user profile directory by hand. Plugins which are providing expressions can add a custom help made with HTML strings. 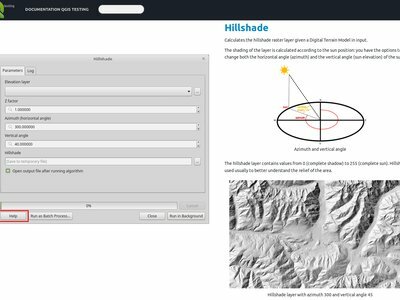 There has been a major overhaul of the geometry classes in QGIS. The old classes have been renamed (as per the table below). New geometry classes will properly preserve Z and M attributes if present. Cancelling a task on which others depend leads to all these other tasks getting cancelled as well. Now, a QgsTask can have subtask QgsTasks set by calling QgsTask::addSubTask. Sub tasks can have their own set of dependent tasks. Subtasks are not visible to users, and users only see the overall progress and status of the parent task. This allows creation of tasks which are themselves built off many smaller component tasks. The task manager will still handle firing up and scheduling the subtasks, so eg subtasks can run in parallel (if their dependancies allow this). Subtasks can themselves have subtasks. 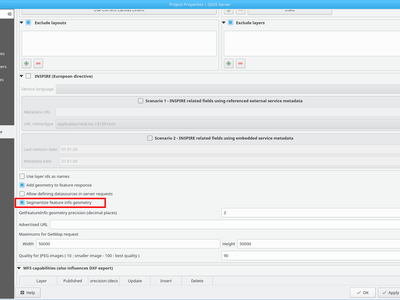 This change is designed to allow the processing concept of algorithms and modeller algorithms to be translatable directly to the task manager architecture. QgsDataItem implementations may provide hasDragEnabled(), mimeUri() and QgsCustomDropHandler implementation to deal with drop of custom items.